You must make reservations at least 5 minutes in advance of the time at Tour de Feast. 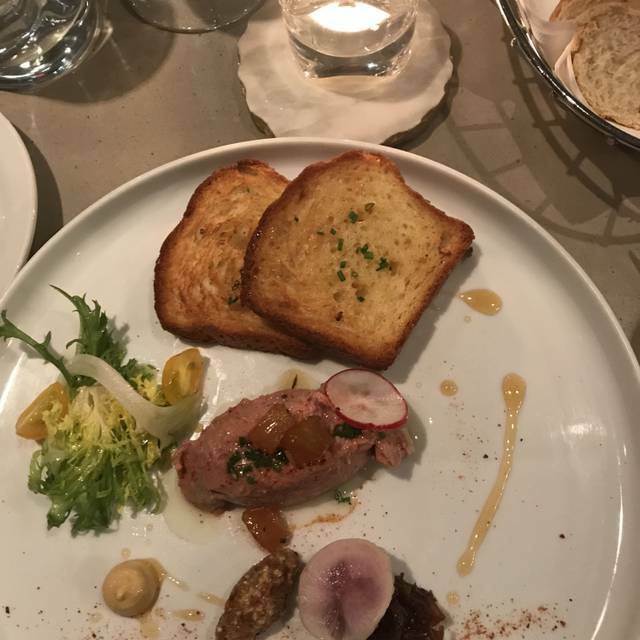 Tour de Feast can be found in North Vancouver, British Columbia and offers a selection of contemporary French classics. The restaurant is family run and strives to give guests a taste of great French flavors in a beautiful atmosphere. Tour de Feast also offers parties for large groups and gatherings. The special at Tour de Feast changes each day and offers selections that are tasty and priced right. The dinner menu also changes weekly, but an option you might see on the menu is the hen and gnocchi which has a bed of homemade gnocchi, half roasted chicken, prawns, mushrooms and carrot puree. For those who prefer vegetarian or vegan fare, the restaurant is happy to offer a selection of options. Spectacular food. My waters thinking of every dish. The food was absolutely delicious and the staff was very friendly and polite. Braised beef and duck confit dishes were both very tasty and perfectly executed. The lemon tart for dessert was the best way to finish a great meal. One blooper: We asked for two glasses of Shiraz. The staff person poured from an already open bottle and did not have enough for two glasses so, the second glass came from two separate bottles. A definite "no,no" in service of wine. The staff were not dressed as wait staff; looked like they were ready for the beach. Also, given the price of the entrees, they could have been more gracious and attentive. As always the food was excellent. It’s a small hole in the wall place that locals love. Service is always the same, business as usual semi friendly, never bad. If you go for the food you will not be disappointed. Good as always! This is becoming my favourite place on the North Shore! Excellent food, portions are too small. We went home and ate after dinner. Food was fantastic but service was lacking. Courses were forced on you before your previous one was done and removed. Bar selection only consists of vodka and cognac? Strange and not expected. Overpriced for what you got and how it was served, wouldn’t recommend. Great little spot for French fare. I highly recommend you give it a try. Delicious food (Fois Gras was outstanding) and great customer service! Friendly and welcoming staff. I had been for lunch before and enjoyed it. This was the first time my husband and I had gone for dinner The food was wonderful and the service was good. It is not the warmest atmosphere with plastic chairs and tables. I had tried to reserve for 6:00 on Saturday night but was told there was nothing open within 2 hours of that time. Our server on Sunday night told us it was not busy on Saturday night - I am not sure if booking through open table was accurate. The food was excellent as usual, however the service was a Little slow. They may have been shot on staff. Regardless, I highly recommend this restaurant as the food is always delicious. We have been meaning to try Tour de Feast for a couple years but never managed to get a reservation in time. This time I planned ahead for my husband's birthday and the food was absolutely amazing!!!!! The location and decor can be deceiving as it is simple. From the first bite you feel you have teleported to France. This is our favourite French restaurant on the North Shore. Well worth a visit. This is a wonderful gem of a restaurant with exceptional food. The decor is a plain and simple but the food is wonderful. Delicious ever changing menu. They can provide great vegetarian options, but make sure to let them know in advance. Always amazing, tonight was no different. A wonderful little North Shore gem! We came to Tour de Feast having come a few times before, always having an excellent vegan option (which used to be stated on the bottom of the menu). I was disappointed that this is now 'vegetarian' option available upon request no longer vegan. They made an exception and created a very good vegan salad and risotto for us but unfortunately we will not be able to return. It seems like a backwards step to go from vegan option to vegetarian option when they are clearly able to do fine work with vegan fare. Excellent Food in a unique location and quaint restaurant. Small, out of the way restaurant on the North Shore. Worth the search. Were there for dinner. Shared the onion tart, would have eaten the whole piece for dinner if I had a choice. Then we each had different duck entrees. The duck was seared, flavourful, cooked perfectly. The quality of the food is amazing. For this alone, you should go to this restaurant. Wine list is limited and atmosphere is somewhat stark, but if you expect this going in, you will not be disappointed. Food taste and presentation is exceptional and great value. A north shore gem. Great French Cuisine on the North Shore. Food was exquisite, but the dining experience was a little rough around the edges. Need to amp up their wine list. Staff in jeans, no table cloths were a bit of a disconnect with a high priced menu. To be clear, the quality of the food was outstanding and we will be back. Absolutely a local north shore gem. 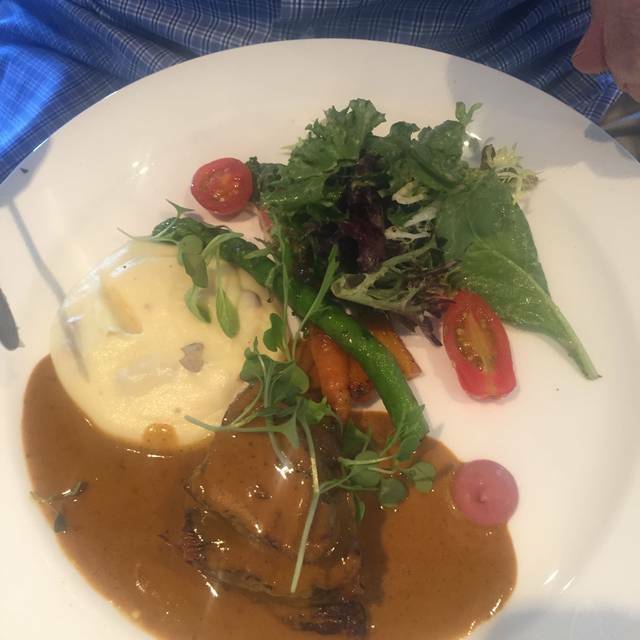 The food was fantastic, the service excellent, and the ambience was interesting. The only suggestion I have would be to dim the lights a little to give a more intimate experience. Great food, fun location, amazing owners/staff. Highly recommended for either a special dinner or a brunch. The food was exceptionally well prepared and well presented. The staff were knowledgeable and friendly. I do wish that the wine selection was up to the quality of the food. Hidden gem. Food is exceptional, unexpected and rivals some of the best restaurants in Vancouver. I really don’t like writing a semi bad review, but... We arrived on time for our 7:30 reservation for 2 that was confirmed with OpenTable. When we arrived a server asked us our name and then told us we did not have a reservation. I politely told him that we did and that I had email confirmation. He disagreed then went and got the Owner who again insisted we did not have a reservation. I showed her my OpenTable confirmation and she still insisted there was an error. This awkward dispute is happening in a very small restaurant surrounded by other diners. Everyone was watching. Was quite an embarrassing few minutes. Finally the Owner allowed us to sit down but under the understanding that we would not be served for 45 minutes as all the other tables with guests would be served before us. We agreed, reluctantly, thinking the food must be incredible for this kind of treatment to get in?? We sat at a corner table. Ordered wine which came fairly quickly and then waited as we were told. Later the Owner came and took our food order. We ordered a blue cheese salad to share and two braised beef steaks. The food was good but certainly not exceptional. While waiting for our food we watched another couple come in and try to sit, they did not have a reservation, so the Owner told them there was no room? Interestingly, 2 tables, as well as all the bar seats inside and one patio table remained empty the whole evening. They obviously did not want to feed anyone else that night. Maybe this was an off night for them. It happens. But handling a “confirmed” reservation with such displeasure really left us feeling awkward, embarrassed and unwelcome. This situation could have been handled with much more professionalism. Hopefully this was just an off night for them. We shared a wonderful meal at Tour de Feast for our anniversary. The restaurant itself is quiet and unassuming, but the food is next level and absolutely delicious! It's the kind of meal where you savour every bite. Highly recommended as a great restaurant in North Vancouver! Food was outstanding and surprising at this quaint restaurant in semi industrial setting. One of tge best meals i have had in Vancouver. Tour De Feast is an absolute gem. 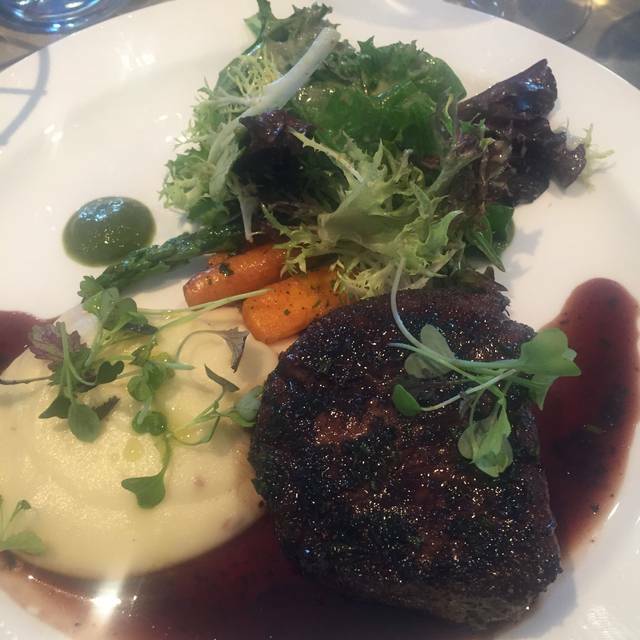 The food is really fantastic - as good as any of the high-end French restaurants in Vancouver. The saucier is amazing. It is our new go-to for special meals. The food was absolutely delicious and the servers were very friendly. I would definitely go back but suggest you make a reservation. Excellent food each and evry time. Great dairy free options too! I've been to Tour de Feast a few times, mostly for lunch (which was delicious) but this time for dinner. The food was amazing! All 6 of us loved our meals and our friends all commented on what a great restaurant it was. Happy to go back there any time ... if I can get a reservation! Well worth planning ahead! Tour de Feast was a great little gem, the people were wonderful and we had some treats that they gave us to start with! Their presentation was phenomenal but I thought the portions were too big because the food started out great, but by the end of it you got tired of the meal you thought was amazing in the beginning. Kind of leaves you thinking less of the food than it actually is. We had a salad for happy and for entrees we had duck breast, duck confit, braised AAA beef, and catch of the day. The salad was AMAZING. So delicious! We had the octopus and sausage one (forget the name). The braised beef was our least favourite because the whole plate just had one texture and it felt like we were eating stew. The catch of the day was phenomenal! 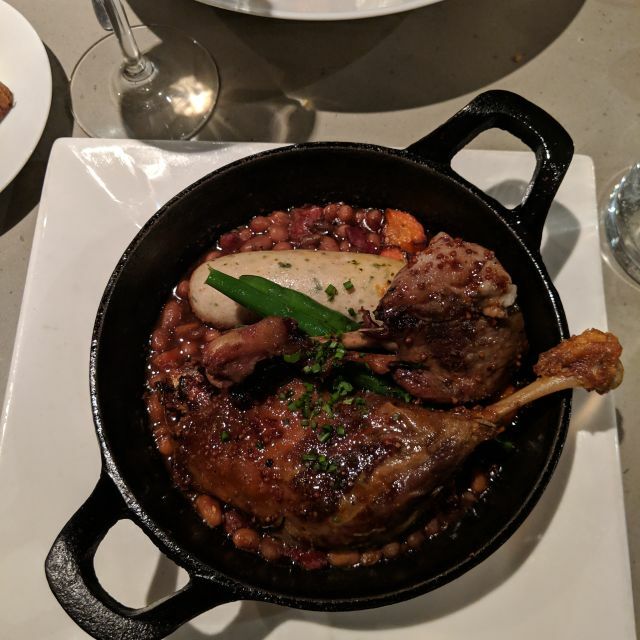 The duck confit was okay but nothing special. The duck breast was cooked beautifully but the sides that came with it weren't very tasty. The prices are quite steep. I'd heard great things about Tour de Feast, and it lived up to its billing. Small menu but each dish was perfect (we tried 4 of the 5) mains. Delicious - with a twist on some old favourites. would 100% recommend it. Had a delicious meal while catching up with an old friend in this family-run, neighbourhood gem of a restaurant. The next day, I was still thinking about how yummy the meal was to me. A good sign. We like that we can reserve and ask at time of reservation for the vegan entree which is always prepared/determined on the day of the reservation based on what is local, fresh, inspired. Simple wine list - could use a bit more choice, but wine was good. Local Bridge Brewery beer. Casual atmosphere but upscale food by family run bistro.